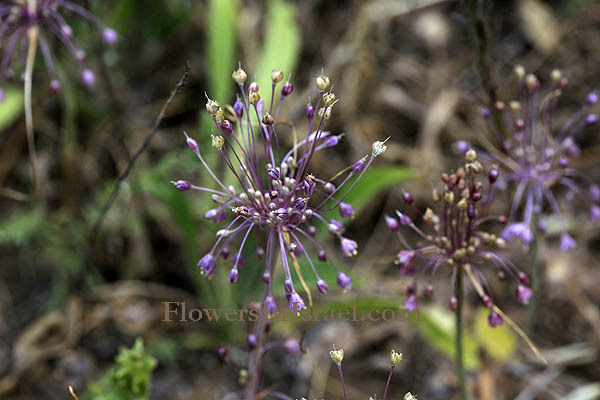 Synonym name: Allium stamineum Boiss. Allium, onion, chive and garlic. From the classical Latin name for garlic. daninianum, dedicated to Avinoam Danin, botanist at the Hebrew University of Jerusalem, in recognition of the organization of the 2nd OPTIMA expedition in Israel (19.3-10.4.1969). The standard author abbreviation Brullo is used to indicate Salvatore Brullo, a professor of botany at the university of Catania, Italy. The standard author abbreviation Pavone is used to indicate Pietro Pavone, an Italian botanist, at the university of Catania, Italy. The standard author abbreviation Salmeri is used to indicate Cristina Salmeri, an Italian botanist, at the university of Catania, Italy. 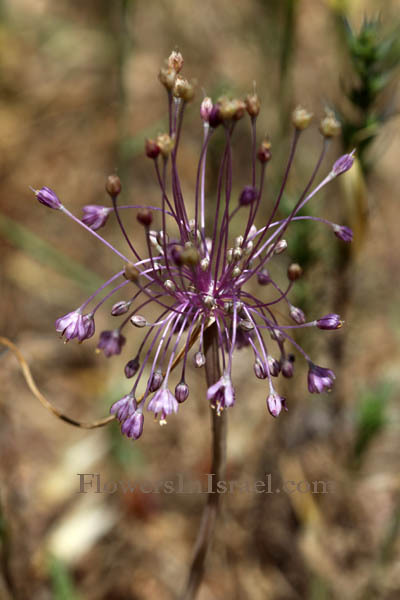 Some Allium populations of Israel, hitherto referred to as Allium stamineum, clearly differ in several morphological characters from typical Allium stamineum, and led to the conclusion that this taxon is a new species. 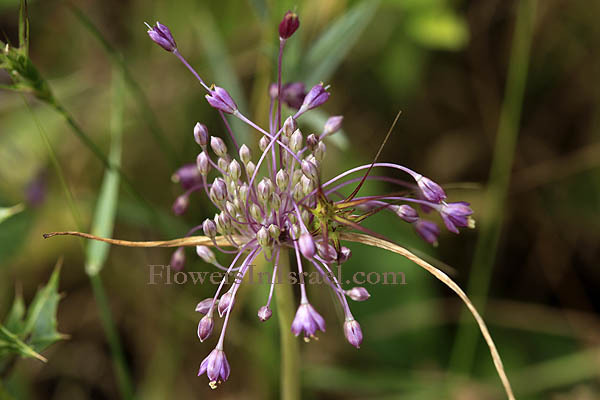 Allium daninianum is widespread in Israel and also in other areas of the Middle East.